During WWI, the Commander of the German U-Boat reported an “explosive” encounter off the coast of Ireland with a colossal crocodile-like creature, which can be described as nothing short of prehistoric. 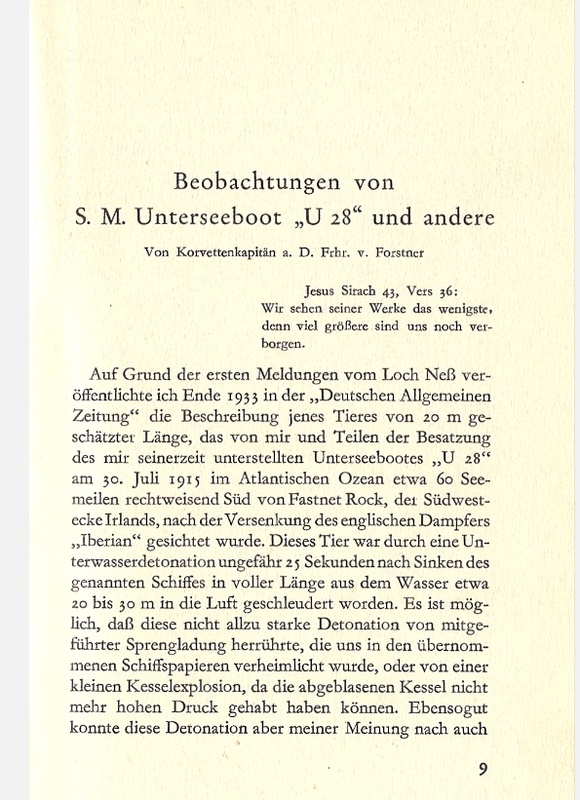 In the book Heuvelmans chronicles an account, which allegedly hailed from a German Baron — and former U-boat skipper — who, in 1933, told of his terrifying encounter with a SEA MONSTER during the early portion of WWI. Much like the incident reported by the UB-85 on April 30, 1918, the crew of the U-28 was given a rare glimpse into what one must assume to be a primeval world hidden beneath the ocean’s vast depths. 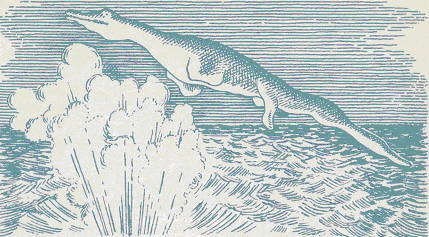 While it’s been suggested by skeptics that this account was born of the popularity of LAKE MONSTERS such as the NESSIE, as well as the bravado that accompanied Germany voting Hitler in as Chancellor, one must wonder why a career naval officer, much less a Baron, would endeavor to concoct a story as patently bizarre as this, for — as we have seen too many times in the past — encounters with the unexplained tend to lead to ridicule at best and, at worst, to becoming a societal pariah. 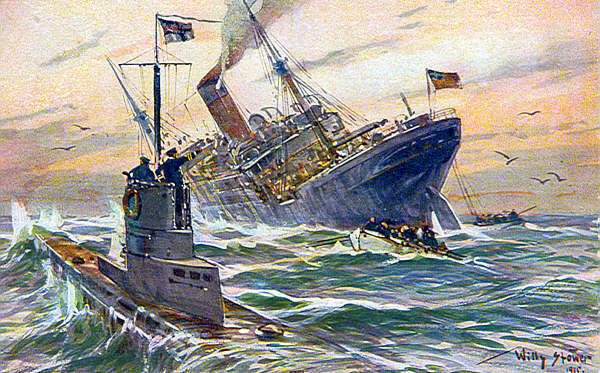 Tragically, of the six men — including officer of the watch Dieckmann, Chief Engineer Ziemer, engineer officer Romeiss, Cox’n Parisch, ship’s cook Robert Maas and Able Seaman Bartels — who were purported to gave witnessed this event with von Forstner, all but Maas perished during the war. 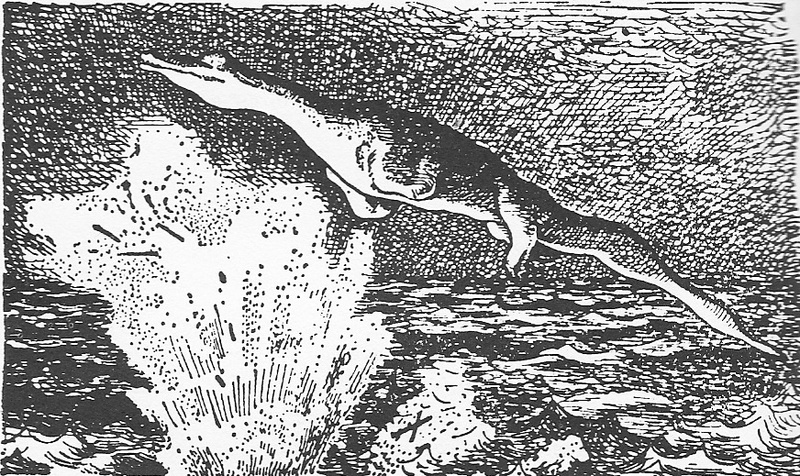 It has been suggested by some — including us in the original version of this article — that this creature is mostly likely a living specimen of the flipper bearing, croc-featured, long presumed to be extinct mosasaur species, but the fact that Commander von Forstner specifically described the creature as having “webbed” feet would seem to suggest that the culprit is more akin to also allegedly extinct family of gargantuan sea crocodiles known as thalattosuchia. 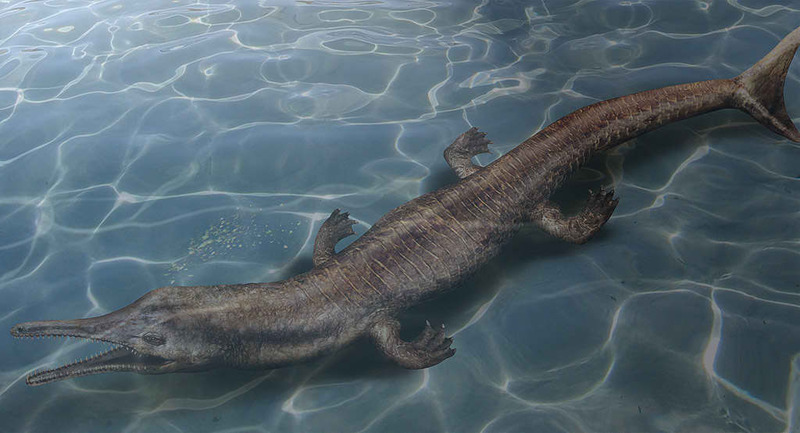 Skeptics dismiss this theory due to the fact that von Forstner described the beast as having a pointed tail rather than the bilobal, or fishlike, tail of a thalattosuchia. While this is a valid point it should be noted thatan explosion as massive as the one that struck the Iberian was bound to have caused some collateral damage to the AQUATIC ENIGMA that was said to have been hurtled skyward by the blast. It is not beyond the realm of possibility to suggest that a small portion of its tail was removed during the detonation. On September 2, of that same year, the U-28 was damaged beyond repair in the North Cape after being hit by debris from the munitions ship, Olive Branch, which exploded after being torpedoed by U-28. Sadly — as in so many of these cases — the truth of this tale, along with the remains of the Iberian, may forever be lost on the ocean floor. 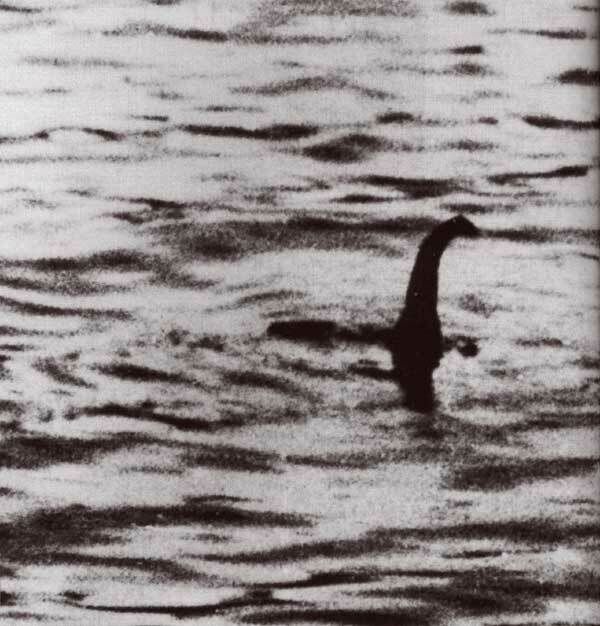 Previous articleNEW PHOTOS OF NESSIE SURFACE!